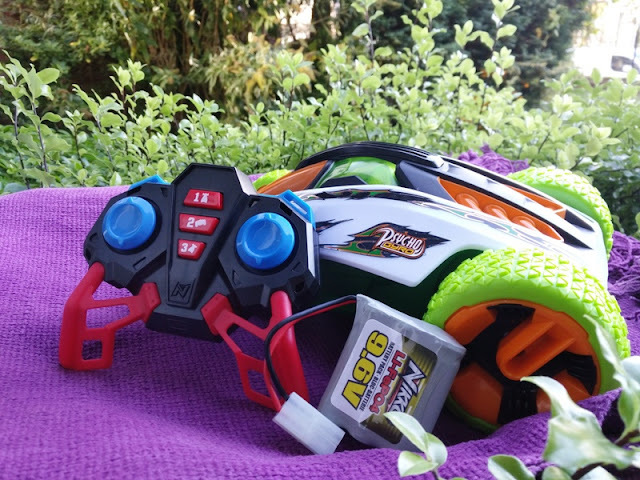 Forever a big kid at heart when it comes to fun toys like remote control cars! 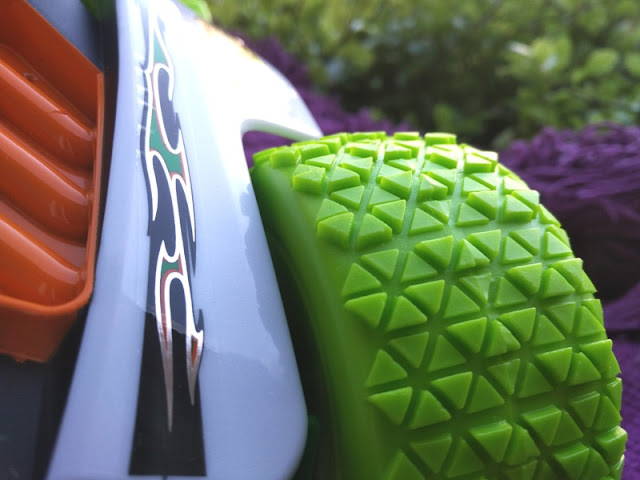 If you are too, you are guaranteed to love this neat little fun RC car by Toy State. 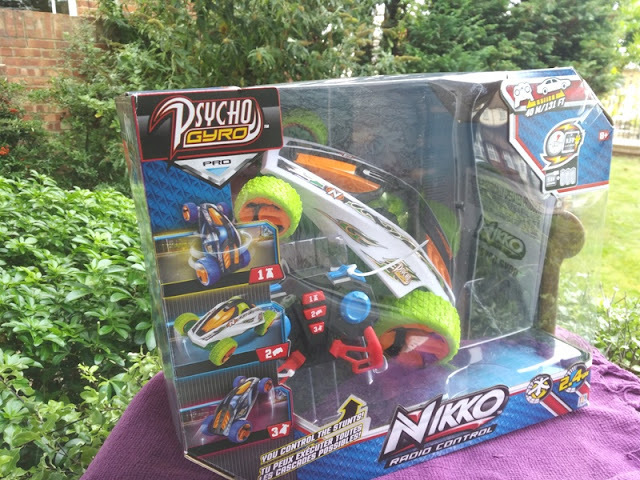 It's called Nikko RC Psycho Gyro and you guessed it, he's a little bad boy! 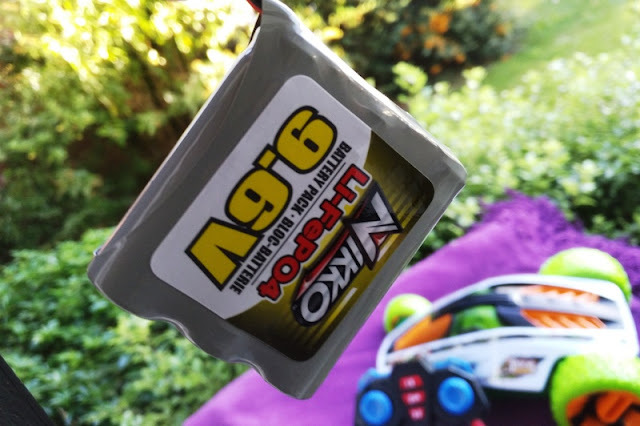 The Nikko Psycho Gyro is a remote controlled car with a remote-controlled rotor gyroscope wheel built-in the center of the car that spins rapidly to maintain a certain axis for gravity defying stunts. The orientation of the gyroscope axis can be maintained in three directions and can be changed at a push of a button from the radio control. Performing the stunts is surprisingly easy. In fact, right out of the box you can start doing 360 wheel spins as well as eye catching stunts on one or two wheels without any practice at all. 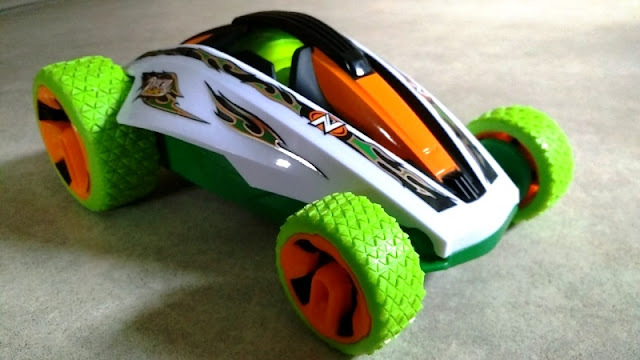 Being a rear wheel drive (RWD) remote control car just like the Turbo Panther 60th anniversary, the Nikko RC Psycho Gyro stunt car is designed to be operated on smooth flooring, carpet or concrete, not grass or sand, and is because the front wheels aren't powered by motors like the rear wheels are. 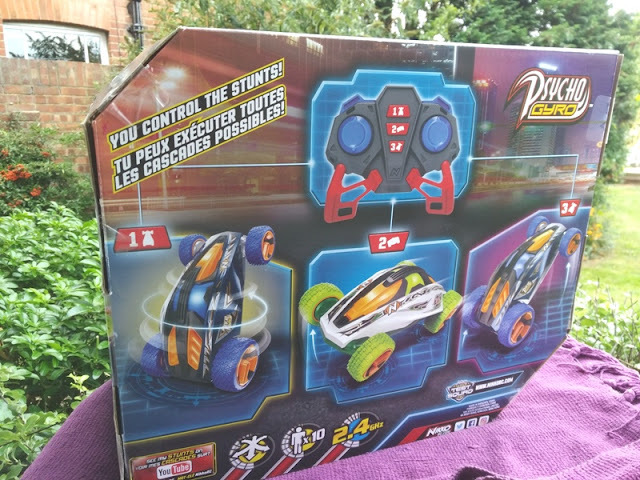 From the radio controller, you can control the gyroscope and the rear wheels which are independently operated, meaning you can spin one wheel forward while spinning the other wheel backward. 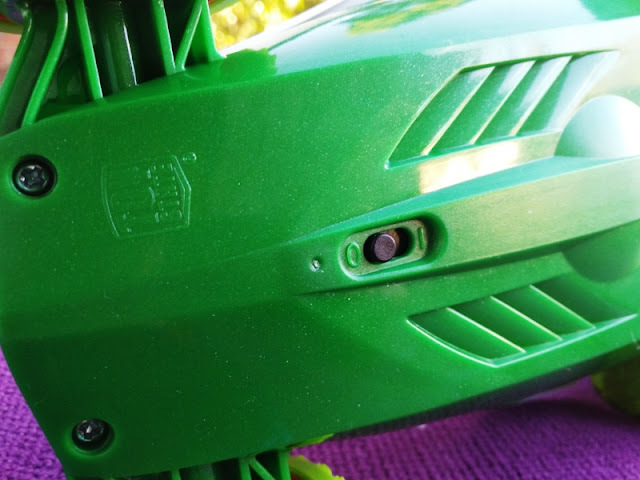 This forward/backward wheel motion allows you to steer the Nikko RC Psycho Gyro since it has no steering mechanism nor suspension built-in. 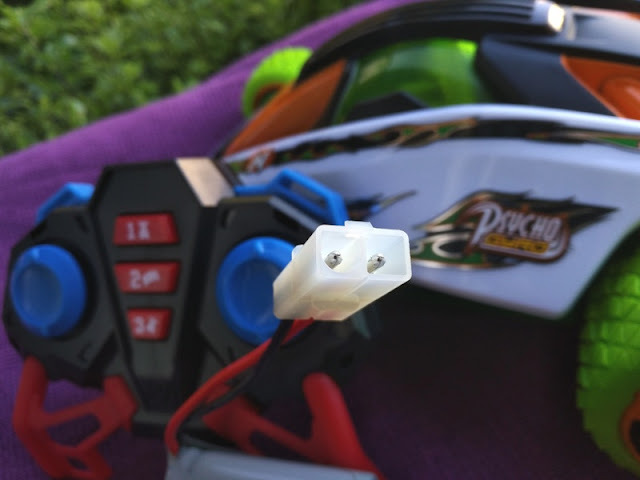 Operating the Nikko RC Psycho Gyro is really easy and straightforward. 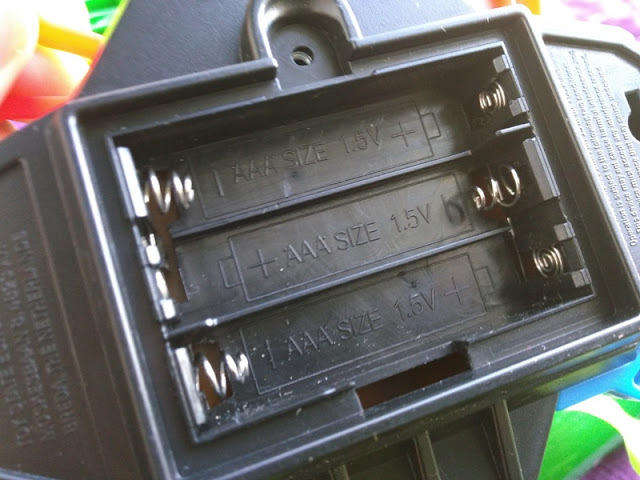 Fit the included AAA batteries in the radio control and the 9.6 volt LiFePO4 battery pack, which features a Tamiya male connector that connects to a Tamiya female connector in the battery compartment of the car. 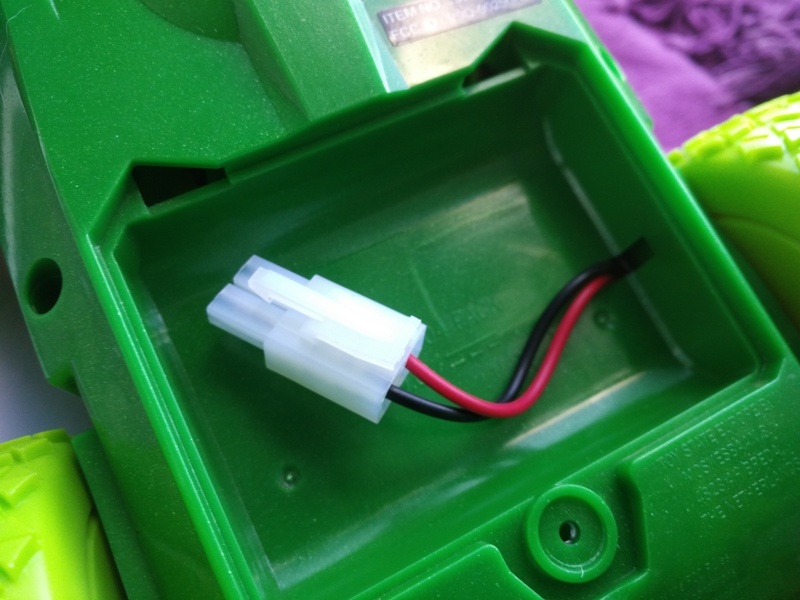 What's nice about Tamiya connectors is that they prevent wrong polarity connections. The positive (red) wire runs to the terminal with a square profile, while the negative (black) wire runs to the half-circle, half-square terminal. Once everything is hooked up, flick the switch on the underside of the car into the I position (the LEDs in the gyroscope will flash). 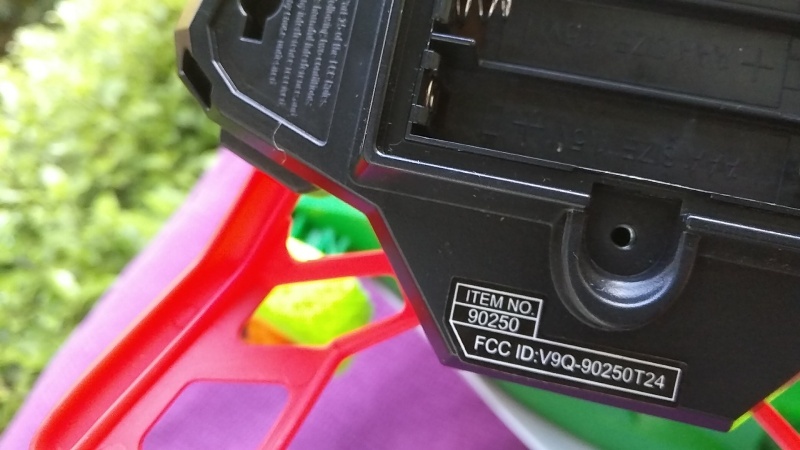 The radio control transmitter operates on 2.4 GHz, which is the same wireless frequency you find in a router or or wireless mouse. 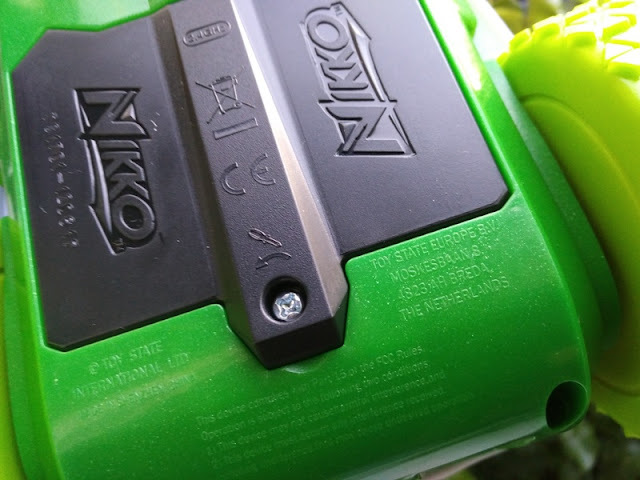 The 2.4Ghz wireless range on the Nikko Psycho Gyro is well over 40 ft. The 700mAh LiFePO4 battery pack consists of three lithium iron phosphate batteries which recharge very quickly (in just under 90 minutes) and have a long life cycle of up to 2000 cycles. 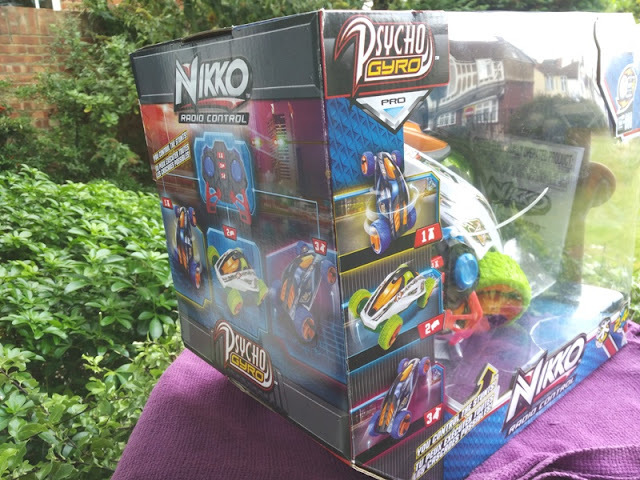 Depending on use and how long the gyroscope is activated, you can get 30 to 45 minute run time out of the Nikko Psycho Gyro RC vehicle. 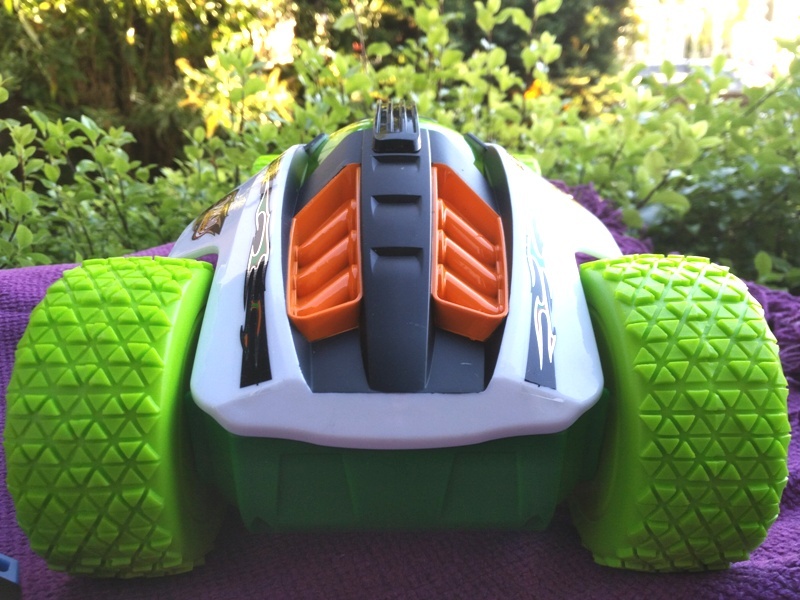 The length of the Nikko Psycho Gyro body is 24 cm (27 cm from rear wheels to front wheels. The widest part of the body (14 cm) is the midsection of the car where the gyroscope is built-in. From rear wheel to wheel, the car has a total wide-span of 17.5 cm. The height of the Nikko Psycho Gyro is 11 cm. The front and rear wheels feature low profile rims. 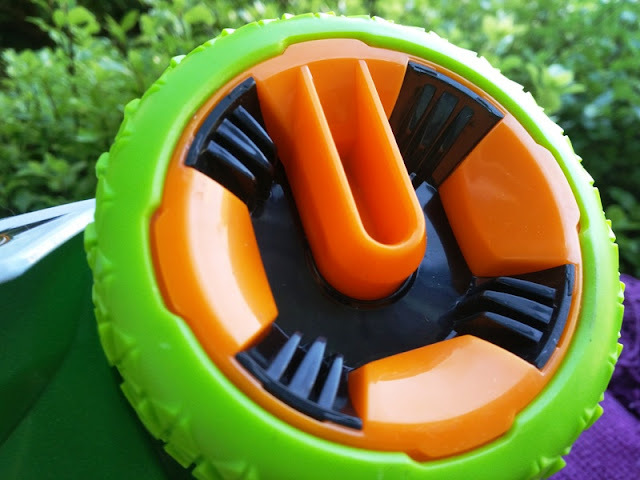 The front wheel rims measure 1.5 inches with 0.5-inch rubber thread, while the rear wheel rims are 2.5 inches in size with also 0.5-inch rubber thread. 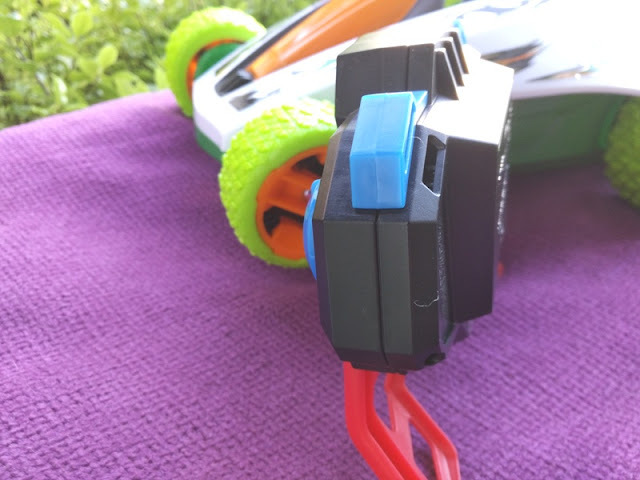 The total weight of the car is 886 grams as it's made mostly of plastics and rubber. 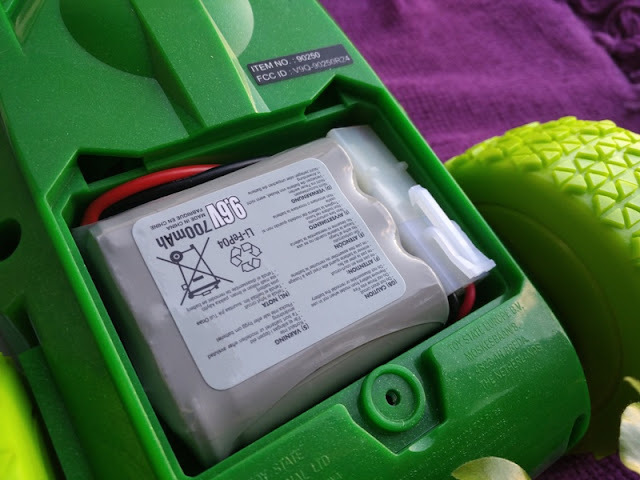 The LiFePO4 battery pack weighs 73 grams while the radio control weighs 83 grams. 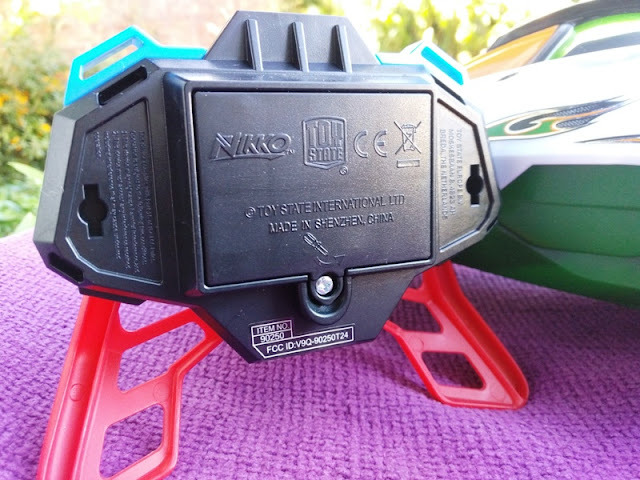 When laid down, the Nikko Psycho Gyro radio control measures 13 cm long, 11 cm wide and 4 cm high.